As a member of the community, I can firmly certify that within the South Asian community, an anti-black sentiment has been silently festering for some years through colorism, about affirmative action, dating back to a time when Black people were enslaved in India. Within the first few weeks of 2019, Khadija Ben Hamou became the first Black woman to win Miss Algeria, yet her victory was quickly overshadowed by widespread colorism. A few weeks after that, Bollywood star Esha Gupta shared a screenshot of a text message exchange between her and two friends which referred to Arsenal player Alex Iwobi as “gorilla faced”. 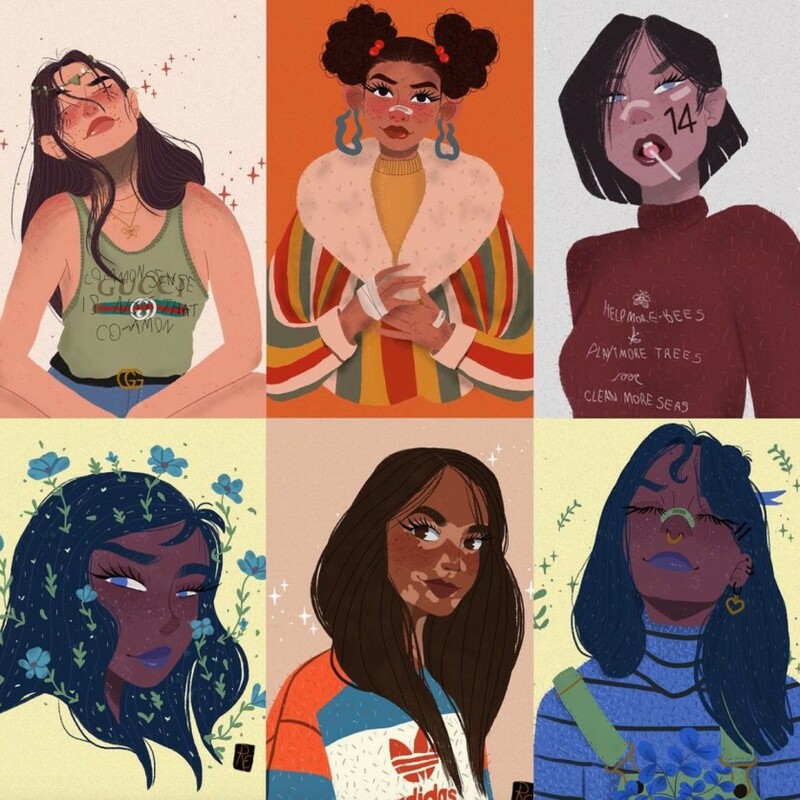 When the #BlackGirlMagic campaign was created in 2013 to highlight the achievements of Black women in various industries, it wasn’t long before the hashtag #BrownGirlMagic popped up. While there is nothing wrong with a celebration of one’s achievements, some viewed this adoption and modification of the hashtag as unnecessarily competitive, with the creation of #BrownGirlMagic refuting and undermining Black women. Additionally, take last year as an example. After the much-deserved worldwide success of ‘Black Panther’, comedian Vir Das took it upon himself to ask, “They got Black Panther. Where is ours? Where is Brown Cow?” This was not an isolated incident; many communities responded to the release of ‘Black Panther’ which the inexplicable response of, “Where’s our Black Panther movie?” Instead of taking this opportunity to appreciate the diversification in representation, we chose to be outraged, to say the least, that Black people got a film celebrating their culture, and we didn’t. Rather than viewing the achievements of Black people as competition, we need to be bigger than racial stereotyping and take a look deep into our own lives to unlearn this degrading behavior that has been taught to us over centuries. Specifically focusing on South Asian communities, colorism did not suddenly appear out of nowhere. It is well-known that Black people remained enslaved in India dating all the way back to the 7th Century. To this day, African students studying in South Asia regularly get beaten in what one can only consider to be racially-charged attacks. Instead of feeding into this vicious cycle, we need to break free. When our grandmothers make insulting comments regarding Black people, why not correct them? When cousins repeat racist jokes, why not call them out, standing steadfast against the inevitable statements that we need to learn to “take a joke.” Anti-black sentiment is not a joke. It has real-world consequences, and it’s high-time that we acknowledge and internalize this. We have created umbrella terms like ‘POC’ (people of color) and ‘BAME’ (Black Asian Minority Ethnic), and use them as a safety net to comfort ourselves, and convince ourselves that our experiences as South Asians align exactly with Black people. Taking a look at our history, this is not exactly true. Whilst both Black people and Brown people have experienced being enslaved and colonized, we cannot presume that our struggle has been the same as theirs. Just look at affirmative action. Many South Asians claim it benefits Black people over Brown people. I hate to break it to you, but Harvard didn’t reject you because you’re Asian and your friend is Black. There are more factors that play into the picture. A couple of years ago, the brother of actress Mindy Kaling supposedly exposed affirmative action as being racist, claiming he was only accepted into medical school because he pretended to be Black. In no way is this true at all. Affirmative action wasn’t put into place to favor one race over another. It was put in place counteract outrageous falsehoods about Black communities, and to level the playing field. The argument that affirmative action favors Black students over others is little more than thinly-veiled bias based on complete misrepresentation and misinformation. As of 2018, Harvard is facing a lawsuit due to apparent discrimination against Asian-American students. Harvard claims that race is a factor they use in the admission process, but it is never used against a student. The fact that many South Asians are so upset over affirmative action further proves how deep rooted this prejudice is in our society. Our struggles are shared, Black or Brown, and we all face hardships, whether that’s representation in the media or our future careers. Rather than dividing ourselves along racial lines, we need to unite together. There is more to be gained when we come together to defeat a greater evil. So, I say to the South Asian community, get woke! We need to acknowledge our biases and set them aside. After all, thats the only way to stand up against bigotry.